Don’t let the rocket’s red glare get you this Fourth of July weekend by not doing your homework on state and local regulations concerning legal and illegal fireworks. 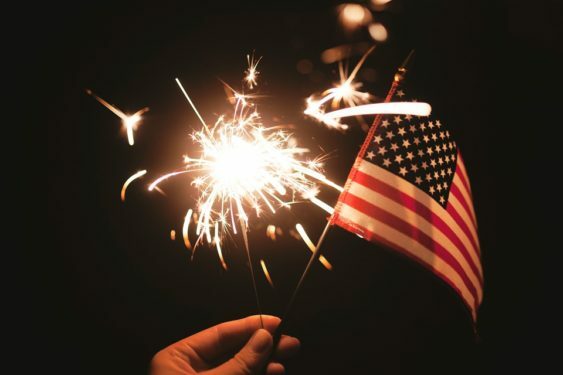 Though the state of California allows for the sale of so-called “safe and sane” fireworks (like cone fountains, hand-held sparklers and smoke items – anything that that doesn’t fly or explode), residents are still subject to local restrictions, which may be even more stringent. Bay Area residents need to be extra careful, as most cities, including San Mateo, Berkeley, Oakland and San Francisco, have banned fireworks all together. So even if you buy them legally in another city, you typically aren’t allowed to transport them back to your city and set them off. There are two major companies that operate fireworks stands in the few Bay Area cities that allow their sale. Find Bay Area Fireworks Stands: TNT Fireworks and Phantom Fireworks. The closest cities to San Francisco wth stores are Pacifica, San Bruno and Union City. Among the 295 communities allowing “safe and sane” fireworks sales in California in 2018. But please not that each community may have their own guidelines and things can change if there’s drought conditions. And though you may still be able to set off the sparklers and spinners you bought legally in San Bruno, but illegally smuggled into San Francisco, this doesn’t mean that the police force will stop enforcing their zero tolerance policies concerning the possession and sale of illegal fireworks. So to help ensure that your holiday weekend doesn’t go up in smoke, it’s probably best to play it safe and follow the advice of those in the know, like a fireman whose job it may be to help reattach the fingers to your recently blown-up hand. Going to a professional display, like the one done annually at Pier 39, also takes the responsibility off of you, so take this as an opportunity to just kick back and relax with some Pabst while enjoying a night full of patriotic festivities and fun.